(RENO, NEV.) Surging interest in electric vehicles and the benefits Nevada will realize as more of its transportation sector is electrified led to a "sold out" capacity crowd at the upcoming Nevada Electric Transportation Forum being held Friday, February 1, 2019, at the University of Nevada, Reno Innevation Center-Powered by Switch. "We're pleased to announce that this forum will be live-streamed, thanks to underwriting from NV Energy, enabling us to broadcast expert presentations and panel discussions over the internet allowing anyone with web access in the world to watch and listen in--our emphasis, of course, being Nevadans interested in electric transportation," explained Tom Polikalas of the Southwest Energy Efficiency Project (SWEEP), one of the event's organizers. David Bobzien, Director of the Nevada Governor's Office of Energy (NGOE), makes welcoming remarks. The NGOE recently released a major report "Electrifying Nevada's 21-Century Transportation System" which addresses in depth the opportunities and challenges Nevada has in electrifying transportation including cars, trucks, school and transit buses, light and heavy duty vehicles, and other modes of transportation. Ann Pongracz, one of three commissioners serving in the Public Utility Commission of Nevada (PUCN), is the forum's keynote speaker. Daniel Inouye, Washoe County Health District, Air Quality Management Division. Matt Frommer, Senior Transportation Associate, Southwest Energy Efficiency Project. Rudy Zamora, Program Director, Chispa Nevada. Sara Forni, Senior Manager, Clean Vehicle Programs, Ceres. Cameron Dyer,Staff Attorney, Western Resource Advocates (WRA). Chris Reilly, Workforce Development & Education Programs, Tesla. Marie Steele and Lauren Rosenblatt, Principals, of E-Centricity, and authors of the report recently released by NGOE. Dylan Sullivan, Senior Scientist, Natural Resources Defense Council (NRDC). An update by Danilo Dragoni, Chief, Bureau Of Air Quality Planning, Nevada Division of Environmental Protection (NDEP), on the status of the Nevada Diesel Emission Mitigation Fund. Descriptions of the EV driving experience from a consumer perspective from John Sagebiel, Ph.D.Assistant Director, Environmental Program, University of Nevada Reno and Joel Levin, Executive Director, Plug In America. State Senator Chris Brooks (SD3), one of Nevada's leading experts on energy legislation and policy, is the featured legislative speaker during the lunch program. Organizations presenting at the Nevada Electric Transportation Forum 2019: SWEEP, Ceres, NV Energy, and the University of Nevada, Reno Innevation Center, Powered by Switch. The Nevada Governor's Office of Energy and the Peppermill Hotel are the event's Major Sponsors. Other sponsors include Nissan, the Green Alliance, the Regional Transportation Commission (RTC), Western Resource Advocates, the National Wildlife Federation, Plug In America, and NV|EfX. "We greatly appreciate all those who are making this event possible, and again thank NV Energy for making the livestream possible for Nevadans and others unable to attend in person because of space constraints, travel costs, and other reasons," said Polikalas. "The Nevada Legislature begins its 2019 session the following Monday, so this event is a tremendous opportunity for all of us to plug into expertise and information on this increasingly important topic. 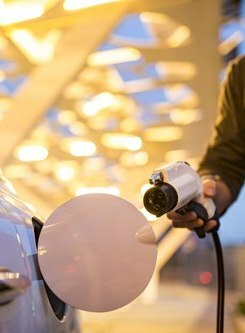 Well-informed citizens and stakeholder citizens can better steer the conversation on electric transportation policies and accelerate Nevada's transition to cleaner, more economical transportation powered by electricity."